With over 350,000 t-shirts printed since opening our doors, you can imagine that shirts are our specialty. We can get sizes from the tiniest newborn onesie, all the way to a exxxxxxtra large (that's a 6XL!). Short sleeve, long sleeve, no sleeve, and everything in between, we can get it all! 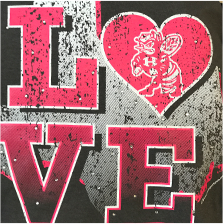 Whether you need 1 or 5000, we are your best shot at quality screen-printing in the area. With a fully automatic press & multiple stations, we can produce up to 3500 shirts in the course of a day. We can deliver it all in under a week. In a bind? We can deliver in just a matter of days! Represent all year long, with custom printed outerwear from Ink Slingers. Outfit the whole family or make it everyone on the team with matching threads that will scream team spirit throughout the winter. 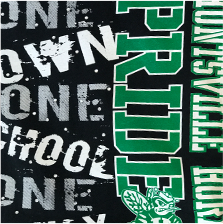 We can print your name, team name or logo onto a wide variety of outerwear. From fleece crewnecks, hoodies, sweaters, cardigans, tracksuits, sweatpants, warmups for the entire team. 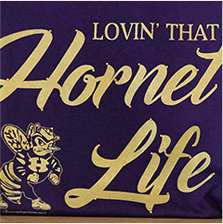 If it keeps you warm, we can print on it. Ask our helpful staff about what different size and style options are available for you. If you're looking to have your team be the best looking on the field, track or court, Ink Slingers is the best team you want printing your jerseys. Offering different types of jerseys and styles to fit your specific sport and sense of style. Whether you need them for men, women or kids, we do it all! 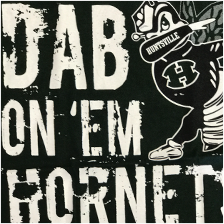 We’ve provided all kinds of jerseys to the athletic programs of local schools, clubs and youth teams in Huntsville and the surrounding areas. From football to baseball, basketball and more, ask are helpful staff about what sport, style and size options we have available for you. Well-done embroidery gives your design an air of elegance that printing may not. If you’re interested in embroidery, we can help. Although Ink Slingers does not do embroidery ourselves in shop, we have the best people in the area on our team. These embroidery experts can create just about anything. From polos to button-ups, hats, jackets and more. . . They can do it all! Ask our helpful staff about what you have in mind and we’ll do our best to get you exactly what you’re looking for. If you want to top your dome with a custom hat, Ink Slingers can help you put whatever design you want on it. We offer a wide range of style options from adjustable, fitted, breathable mesh, beanies and visors, we carry it all. We provide hats for men women and children, ask our helpful staff about what different size options are available for the style you choose. 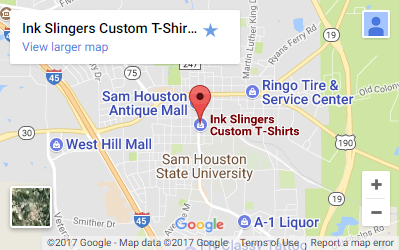 Whether you’re looking for your own custom hat or interested in ordering matching caps for the whole baseball team, tip your hat to Ink Slingers. Bags, back-packs, shorts, pants, chef wear, towels, robes, underwear, scarfs, gloves, compact discs, award medals, just about anything. Please be aware that we offer all of these products to our customers, but that we do not keep a stock of every item. We order every item from our suppliers to ensure you get a brand new product straight from the manufacturer. Owner, Nathan Smith, has been in the screen printing industry for over 23 years. 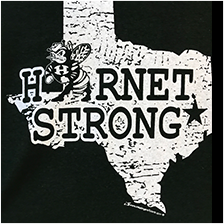 As a Sam Houston State University Graduate in 1999 with BFA in Graphic Design, he started Ink Slingers in January 2003, and has quickly grown to be the leading screen printer in Huntsville and the surrounding areas.  Ink Slingers serves over 2,500 clients with screen print production of over 100,000 t-shirts annually. Ink Slingers demands strict quality standards during all stages of screen print production which include: spot printing up to 6 colors, 4 color process, glow in the dark, heat transfers and foil application. At Ink Slingers, we use the finest materials and equipment to fulfill your promotional requirements. Through customer service, art/graphic design, screen preparation, job set up, and final inspections, processes are to maintain the highest marks in all quality areas.